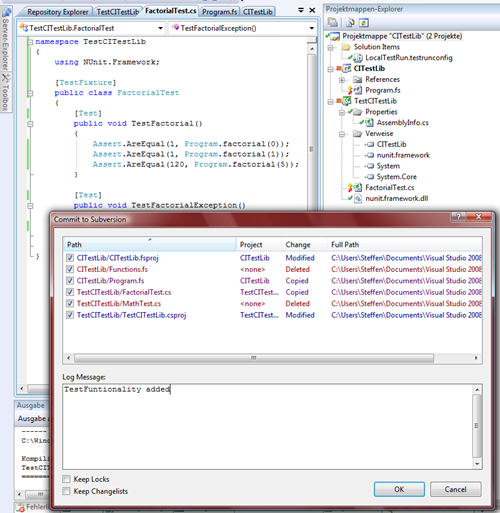 Visual Studio 2008 » Tagged "visual-studio-2008" » Rash thoughts about .NET, C#, F# and Dynamics NAV. 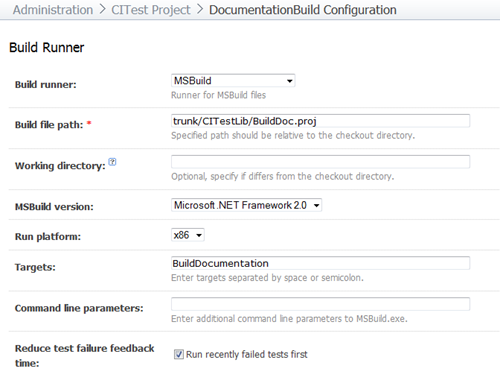 In the last 3 posts I show how to set up a Continuous Integration environment for F# or C# projects with Subversion (part I), TeamCity (part II) and NUnit (part III). 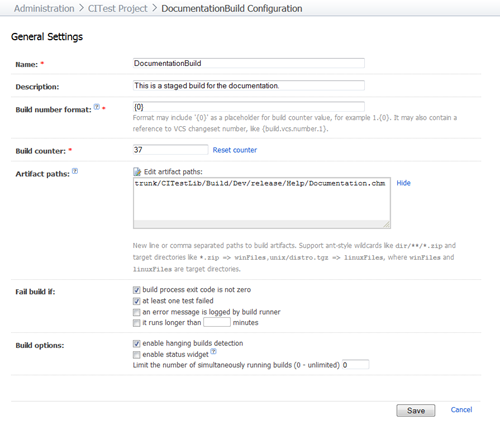 This time I want to show how we can set up an automated documentation build. 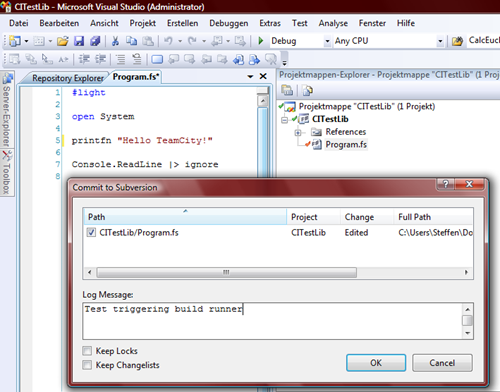 GhostDoc is one of my favorite Visual Studio plugins. It allows me to generate comments for nearly all my C# functions. Of course these generated comments arenâ€™t sufficient in every case â€“ but they are a very good start. Unfortunately GhostDoc doesnâ€™t work for F# 🙁 â€“ the actual version works for C# and the support for VB.Net is called “experimental”. Download and install â€œSandcastle – Documentation Compiler for Managed Class Librariesâ€ from Mircosoftâ€™s downloadpage or http://www.codeplex.com/Sandcastle. 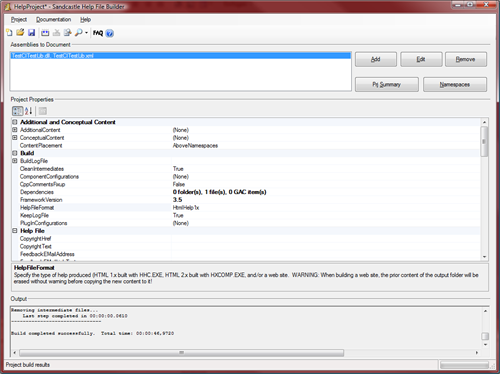 For .chm generation you also have to install the “HTML Help Workshop“. 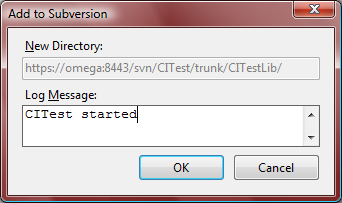 If you want fancy HTMLHelp 2.x style (like MSDN has) you need â€œInnovasys HelpStudio Liteâ€ which is part of the Visual Studio 2008 SDK. 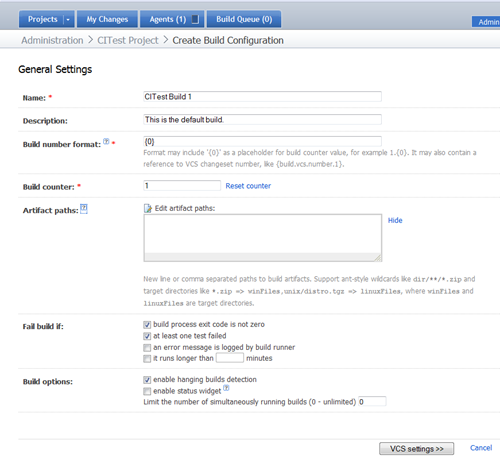 Last but not least I recommend to install the Sandcastle Help File Builder (SHFB) â€“ this tool gives you a GUI and helps to automate the Sandcastle process. 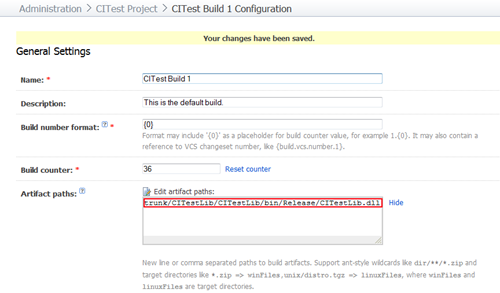 One of the main principles of Continuous Integration is â€œKeep the Build Fastâ€ â€“ so I am working with staged builds here. 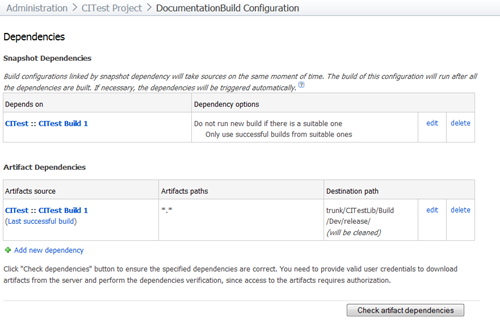 The documentation build should only be started if the first build was successful and all UnitTests are positive. For most projects it is enough to generate the documentation daily or even weekly. 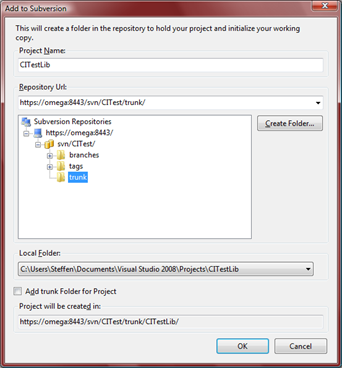 Add this build file and the SHFB project to your Visual Studio solution folder and commit these changes. 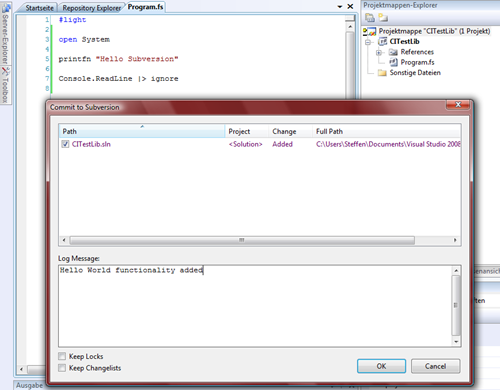 In the last post I showed how easy it is to install Subversion and how it can be integrated into Visual Studio 2008 via AnkhSVN. 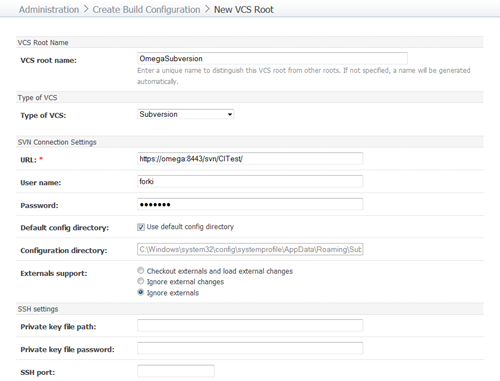 This time we will set up a Continuous Integration server and configure a build runner. 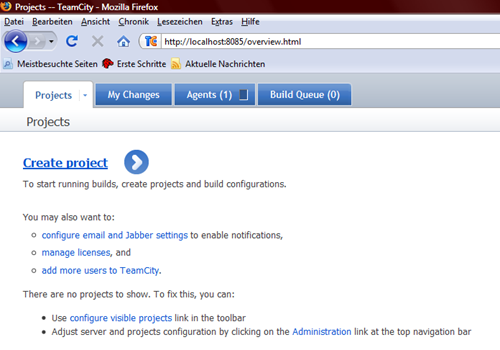 As a Continuous Integration Server I recommend JetBrains TeamCity. 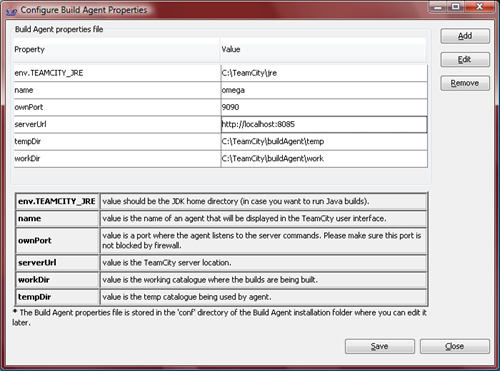 You can download the free professional edition at http://www.jetbrains.com/teamcity/. 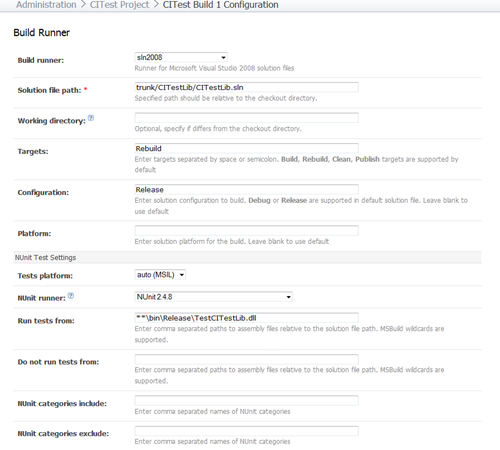 For setting up specific build runners see the TeamCity documentation. 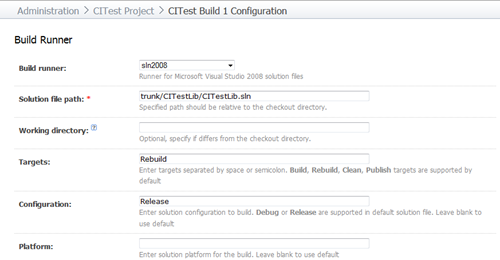 For now I will use the â€œsln2008â€-Build runner (the Runner for Microsoft Visual Studio 2008 solution files). Now add a build trigger. 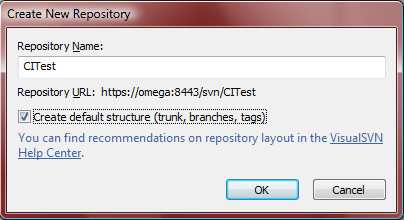 Whenever someone performs a Commit on the Subversion repository the server has to start a build. Of cause TeamCity gives you a lot of different notification and monitoring possibilities including mail, RSS feeds or System Tray Notifications. 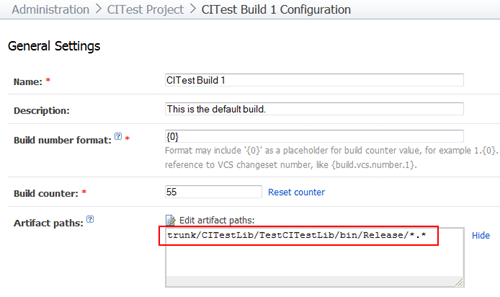 Next time I will show how we can integrate UnitTesting in our automated build scenario. 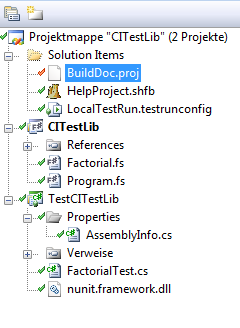 In this post series I will show how one can easily set up a Continuous Integration scenario for F# or C# projects with completely free products. All you need for setting up a complete Subversion environment is to download and install VisualSVN Server from http://www.visualsvn.com/. 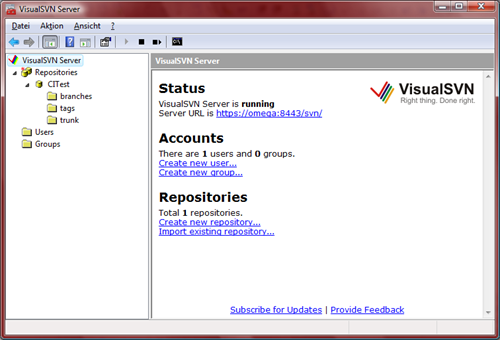 Now you can create user accounts and a repository â€CITestâ€ in the VisualSVN Server management console. Download and install AnkhSVN 2.0.x from http://ankhsvn.open.collab.net/. If you donâ€™t like the default Diff tool you might try WinMerge. 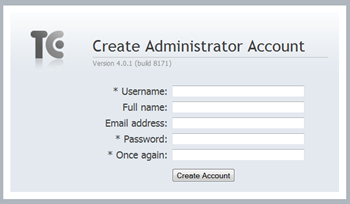 Next time I will show how to set up a Continuous Integration server. 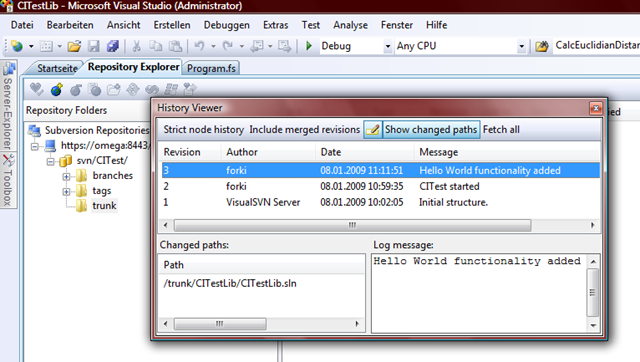 Claus LundstrÃ¸m zeigt in einem schÃ¶nen Blogpost wie man in NAV2009 den Code auf Seite der ServiceTier (also auch remote) debuggen kann â€“ und zwar Ã¼ber Visual Studio 2008 direkt im generierten C#-Code. 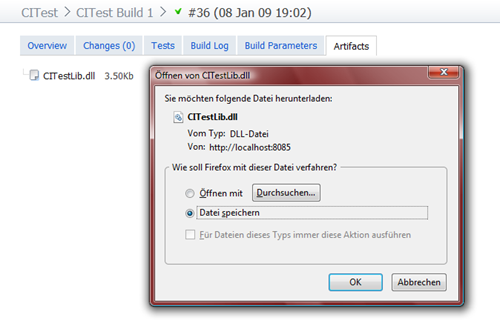 Mit dieser Variante ist man nicht mehr gezwungen das Debugging Ã¼ber den Classic-Client zu tun, sondern kann direkt aus dem Dynamics NAV RoleTailored-Client debuggen. Dummerweise ist der generierte C#-Code, wie das bei generiertem Code eigentlich immer der Fall ist, nicht gerade â€œoptisch schÃ¶nerâ€ C#-Style und hat auch nur noch wenig mit dem Original-C/AL-Code zu tun â€“ ist aber immerhin lesbar. Das ist ein wirklich interessanter Ansatz und erlaubt mit etwas Geschick auch UnitTesting fÃ¼r NAV 2009. DafÃ¼r werde ich demnÃ¤chst mal versuchen ein kleines Beispiel zu bloggen. Scott Guthrie, seines Zeichens General Manager in der Microsoft Developer Division, schreibt in seinem Blog, dass mit dem finalen Release von Visual Studio 2008 und .NET 3.5 die MÃ¶glichkeit bestehen wird, den .NET Basis-Quellcode anzusehen und zu debuggen. Das ist zwar mit Reflector auch auch heute schon mÃ¶glich, allerdings ohne Quelltextkommentare und auch nicht mit allen Variablennamen. Dirk Primbs (Developer Evangelist) spricht zu ausgewÃ¤hlten Neuerungen in Visual Studio 2008 und dem .NET Framework 3.5 bzw. C# 3.0.